LG announced today that sales of its Optimus LTE smartphone have exceeded over one million units, putting it at the forefront of the emerging LTE era. First launched in Korea in October 2011, the Optimus LTE hit sales of 600,000 units there in the first three months, making it the most popular LTE-capable phone in a highly competitive market. 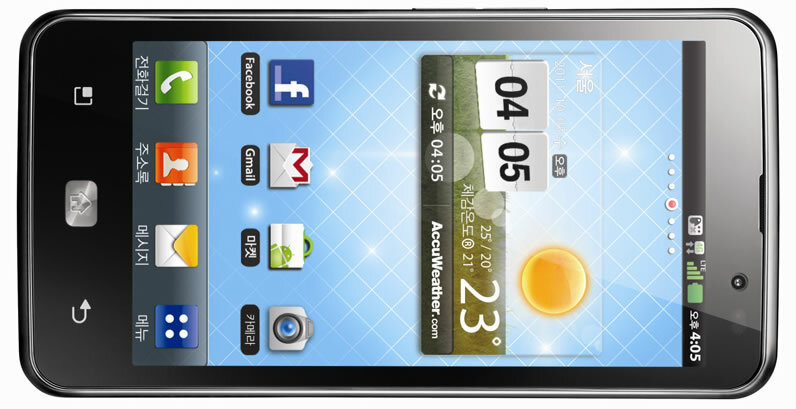 On the first day of its launch in Japan, the Optimus LTE also recorded sales of 8,500 units. The phone is now available as a premium smartphone through three major mobile carriers in North America, the most advanced market in terms of LTE coverage.The LG Optimus LTE delivers the ultimate HD multimedia environment with a 4.5-inch 1280 x 720 (16:9 ratio) True HD IPS display and fast LTE connectivity. The True HD IPS display features an incredible 2.76 million sub-pixels as well as superior color accuracy, clarity, natural color and battery efficiency. Ensuring peak performance, the Optimus LTE runs on a 1.5GHZ dual-core processor and includes a 1,830 mAh battery, 8MP camera, and multiple connectivity options including DLNA(Digital Living Network Alliance), to provide users a truly best-in-class smartphone experience. The world’s first HD LTE smartphone, the Optimus LTE is currently available in the US, Canada, Japan and South Korea.